True empowerment goes beyond the 4 corners of documents on BBBEE. It takes employees from a state of the unknown-unknown all the way to the known-known. Simply put, employees learn on the job everything from basic technical skills to the advanced. Having achieved the milestone of equipping all its employees with necessary skills, Metal Cross Vehicle Makeover Clinic has taken the quest to empower employees further. 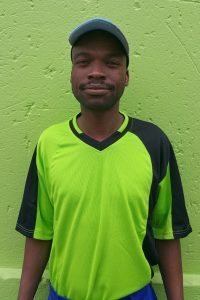 Take Philemon Matsapola for instance. He started working for Metal Cross alongside Frank and Conscious 10 years ago. Aside from learning every technical skill available within the industry, Frank shared with him leadership and management skills and administrative procedures. “One thing that stands out for me has always been the ability to learn from the boss every day of my working days. Frank is not the kind that gives up on anyone,” says Philemon. Philemon points to employees’ involvement in the performance of the business as truly empowering. Knowing that their input makes a difference is motivating and exciting. Stats SA bemoans the multitudes of youth languishing in communities with no jobs and skills to absorb them into the job market. On the other hand Metal Cross Vehicle Makeover Clinic is contributing to the national interest by employing unskilled young people, giving them skills and providing them permanent employment. The knock-on effect is young people who support their families and are groomed to start their businesses and to employ other young people. Though Frank is blasé about his contribution to the principle of empowerment, Philemon and the rest of Metal Cross team agree. The panel beating industry is not famous for empowering those that support it. When a company like Metal Cross makes great strides in making a difference, its efforts are not echoed by management but by employees who benefit from the transformation programme undertaken by the company. 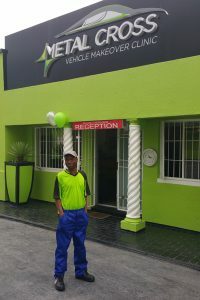 And that is what makes Metal Cross Vehicle Makeover Clinic a cut above the rest.